In the field of economics, Herman Daly (1997), Tim Jackson (2011), and many others are developing new theories on macroeconomics and prosperity without growth. 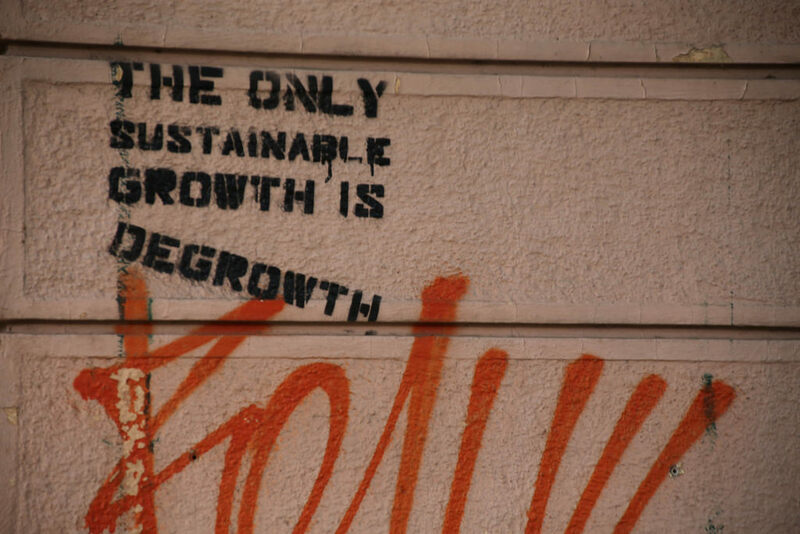 However, degrowth is also a strong critique of economism and it is inconceivable without a degrowthsociety. Geneviève Azam is a lecturer in economics and a researcher at Toulouse University, France. She is also an environmental activist and “alter-globalist” for the organization Attac France. This article was adapted from a chapter in Systemic Alternatives, published jointly by Fundación Solón, Attac France, and Focus on the Global South.